The Avaya IP406 v1 supports only IP Office Software 3.2 and prior. It is not the control unit of choice when building an IP Office system as it has been discontinued. 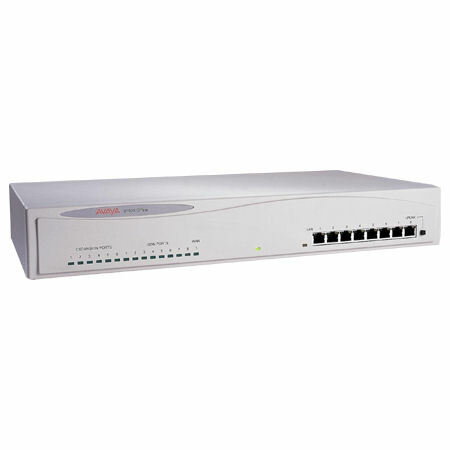 It is satisfactory as a replacement for current Avaya IP406 V1 systems. 8 LAN Ports - Ports are half-duplex. Port 8 can be switched from MDIX standard LAN to MDI crossover operation using the UPLINK button on the control unit. Used for PC and server connectivity as well as for connecting the IP400 WAN3 and IP telephones. 1 VCM Expansion Slot - Compatible with VCM 5/10/20 and VCM 4/8/16. Maximum voice compression channels capacity of 20 channels. Maximum Extensions - 180 of various types in combination. Analog only: 180. DS Only: 180. IP Only: 180.